Around the world, as the demographic weight of urban areas increases, the need to provide all residents with efficient, low-energy public transport has become a major political issue. France has experienced a surge in urban public transport that began in the 1970s. First with the creation of metro lines in the largest cities, then with the launch of many modern tram networks in the Paris region and in medium-sized cities, and, more recently, with the creation of Bus Rapid Transit (BRT) lines when heavy modes were not justified. To support these development efforts and the use of urban public transport by citizens, an institutional and financial framework has been put in place by governments and constantly improved. 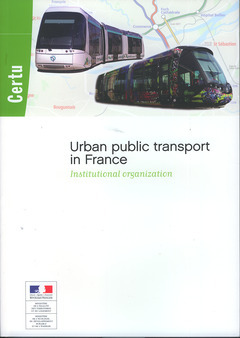 of the practices and know-how of local authorities’ (the organizing authorities) and large French passenger transport groups. We hope that this brochure will shed light on the French system and thereby contribute to sharing experiences in the field of urban transport.